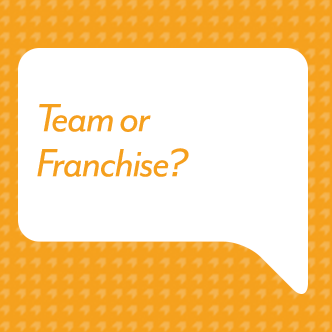 In this week’s episode of the Steve Barkley Ponders Out Loud podcast, Steve ponders “Team or Franchise?" Listen as Steve ponders the continuum of teachers working as individuals to teachers working as teams to teachers working as franchises. Subscribe to the Steve Barkley Ponders Out Loud podcast on iTunes or visit BarkleyPD.com to find new episodes. Thanks for listening!